Major celebrities throughout the world are now reconsidering their personal security arrangements following the surfacing of shocking revelations behind George Clooney’s surprise promotion of a down market beer-like beverage. 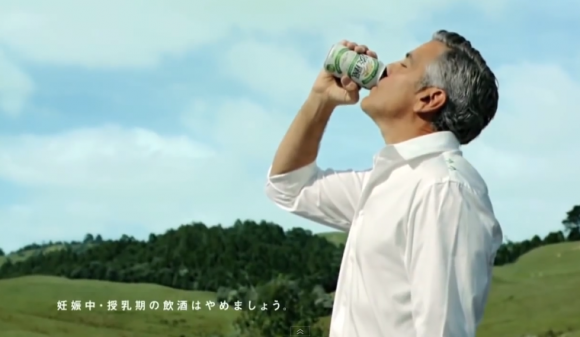 Reports of Clooney being abducted in the middle of the night to perform in TV commercials for a Japanese beverage have brought the bold new strategy of aggressive recruitment into the light, although the powers-that-be are still committed to keeping it in the dark. 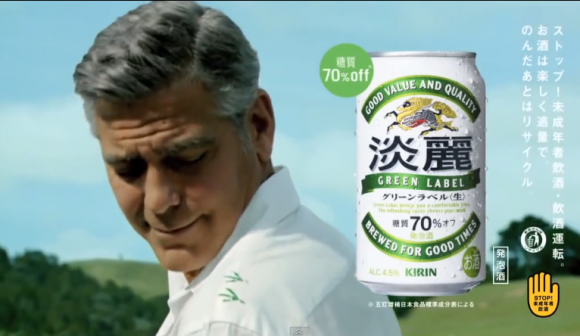 Stagehand Takehiro Yamaguchi, who spoke to us on the condition that we didn`t print his name, revealed how Clooney was coerced into doing the commercials. 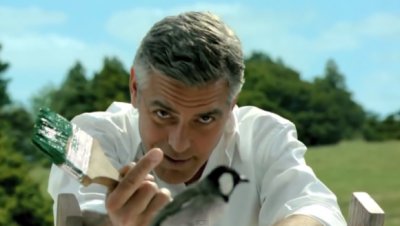 “A lot of people just assume that Clooney purposely showed complete disregard for his carefully cultivated image of a classy human rights activist after he saw a pile of cash on table in his hotel room. Some people would imagine that George then buried his head in the crisp, smooth, greenbacks and sang, “I me me mine! I me me mine!” before adding, “I don’t care what the product is. You’ve got my endorsement.” That’s not the case though.